Shoes, cars, baby food, bicycles…are just a few things we buy online. Regardless of the product or shopper, the experience is just as vital to having a profitable e-commerce website and business. So what are consumers really looking for from e-commerce experience? After analyzing through a mine of recent surveys, user behavior metrics and research data, there are countless things that matter for an e-commerce experience, it’s nearly impossible for a website to be effective without executing well on five (5) primary core areas. 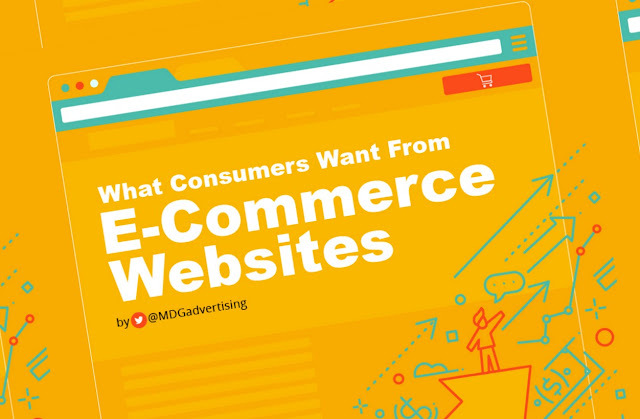 The “5 Elements Consumers Want from E-Commerce Websites” are listed below. But, for the complete context and application insights, check out the accompanied infographic, which comes courtesy of Mdgadvertising. Knowing that success begins with usability, speed, in-depth product/services information, high-quality images, accurate reviews/ratings, and a great search experience — you can prioritize your time, energy and budget when enhancing a brand’s e-commerce website.